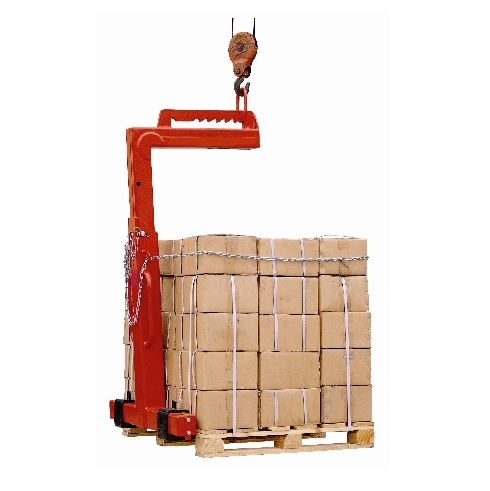 Crane Pallet Lifters with automatic weight balancer and adjustable height. 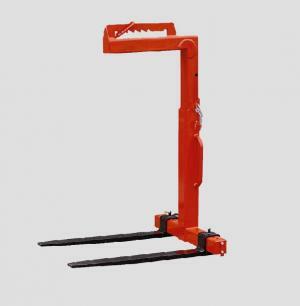 These Crane Pallet Lifters are equipped with adjustable tines, height adjustability and an automatic balancing system. 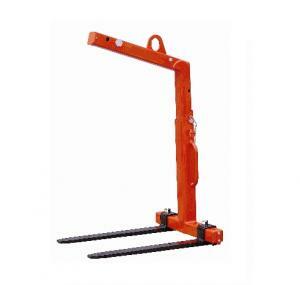 Crane Lifters with automatic balancing tend to point their tines upward when being transported. This prevents the load from unintentionally slipping off the tines. 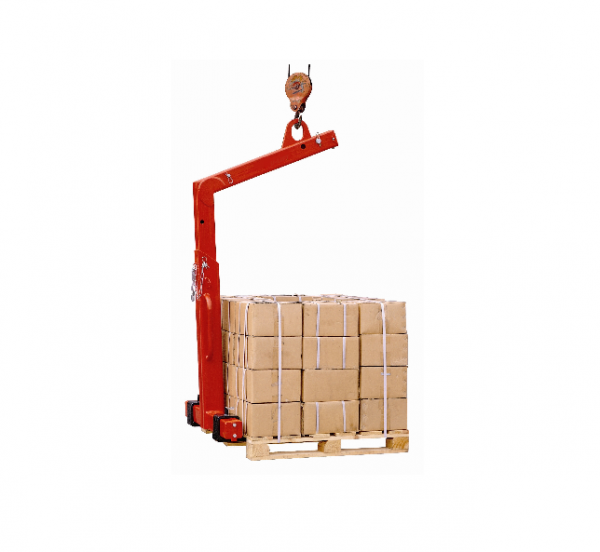 The automatic balancing system requires a minimum load of 20% of the crane fork’s working load limit. The shackle is moveable and runs on a track depending on the load. The automatic balancing engages by a pressurized gas spring once the forks are loaded. The load will always be in the centre of gravity of the forks ensuring a safe transport.